Bed-wetting treatments and embarrassment: Alarms, drugs, training, and blame. The bizarre, desperate, occasionally cruel medical treatments for a common complaint. Not uncommon: If you’re 5, your odds are 1 in 5. As a human being with a urethra, I had a couple of thoughts when I read this. The first one went something like this: nope, nope, NOPE. The second thought was more coherent—and dismaying. The desperation behind this appalling, acidic approach is sadly familiar, even in 2015. Almost two centuries after Duffin’s case report, two-thirds of kids are too embarrassed to talk with a doctor about bedwetting. That’s a lot of people, because almost 20 percent of 5-year-olds will go through a phase of nocturnal enuresis—involuntary urination while sleeping, not caused by any known underlying condition. Why does this common stage of many childhoods carry so much emotional, cultural, and medical baggage? Like many of our lingering hang-ups, it’s rooted in the prudish, pro-science Victorians. By the turn of the 20th century, this moral outrage was evolving into the idea that kids unintentionally “wet as an outward expression of psychological distress,” says Caldwell. And early-20th-century psychologists thought they could solve this psychological distress with a new approach: behaviorism. Psychologists embraced this new scientific theory, says Yale physician and historian of child psychiatry Deborah Doroshow, which looked “at all human behavior in light of stimulus-response.” Much like Ivan Pavlov training dogs to drool when they heard a bell, behaviorists optimistically believed that, given the right pairings of stimuli and responses, they could “train people to do whatever they want,” says Doroshow. Through the 1930s, behaviorism training was used to treat sexual perversion, morphine addiction, and alcoholism. In the late 1930s, psychologists Orval and Molly Mowrer decided to cure bed-wetting with technology that applied the lessons of behaviorism. Their first invention was too drastic: When a kid wet the bed, the urine completed a circuit built into a customized iron bedframe, triggering part of the bed to collapse and roll the kid out and onto the floor. Their second invention was more humane: The Mowrers sandwiched a cotton pad between two copper screens, hooked up a battery and bell, and tucked the cotton-copper sandwich beneath a sleeping kid. When urine wet the cotton, it completed the circuit and caused the bell to ring. The goal wasn’t to startle kids so they’d stop urinating, but rather to train them over time to wake up when they felt the urge. The Mowrers happily reported that this bed-wetting alarm even cured “the champion bed-wetter” under their care. The Mowrers’ design was improved in the mid-1940s by California doctor H. Wright Seiger, who embedded the circuit wiring into a rubber pad so it alarmed more quickly and could be cleaned more easily. By the 1950s, newspapers were carrying ads for the Sears Wee-Alert, the Wee-Alert Trainer, and the Enurtone. But these alarms had drawbacks. Kids slept on the floor to avoid the alarm, says Doroshow, or sabotaged it. The alarms woke other family members. Occasionally an alarm malfunctioned and shocked a kid. And the alarm assumed that a parent—invariably the mother—would get up, help her kid out of bed, take him to the bathroom, clean up the mess, and replace the cotton pad. Repeatedly. The bed-wetting alarm was a classic example of “more work for Mother,” says Doroshow, on top of all the guilt. “Sixty to 70 years ago, you would never tell anyone that your child was a bed-wetter,” says Doroshow. Psychoanalysts, who searched for deeper meanings in behavior, were replacing the more results-oriented, optimistic behaviorists, and they thought a bed-wetting kid reflected a defect in mothering. Doctors blamed mothers for potty-training their kids too early—and for deliberately not potty-training them well. Compared with this damning attitude, pediatrician Benjamin Spock’s take was remarkably supportive in his influential 1940s parenting book, The Common Sense Book of Baby and Child Care. And his views caught on: During the 1950s, doctors started recommending that, instead of scolding kids, parents should have them avoid drinking fluids in the evening and wake them up in the middle of the night to go to the bathroom. By the 1960s, doctors had begun to think of bed-wetting as a medical problem. Even though people kept using the behaviorists’ urine-triggered alarms, doctors began prescribing drugs to treat the underlying pathology. The tricyclic antidepressant imipramine was the first to gain popularity; it was later supplanted by desmopressin, which reduces the amount of urine you make while sleeping. But doctors soon discovered a problem: When kids went off drugs, they often started bed-wetting again. Only 35 percent of kids remain dry after stopping desmopressin, compared with the 54 percent who remain dry after training with an alarm. The “bed-wetting alarm is the most effective form of treatment,” says Doroshow, and continues even today as the first-line therapy in most of the world. Which isn’t to say that our understanding of bed-wetting is stuck in the 1930s, nor even the 1960s. Nowadays, says Doroshow, “we go out of our way to not pathologize” bed-wetting; modern doctors “really focus on telling patients that this is normal, this too shall pass.” Bed-wetting becomes worrying only when a kid keeps bed-wetting for many years, or when a dry kid suddenly starts bed-wetting. 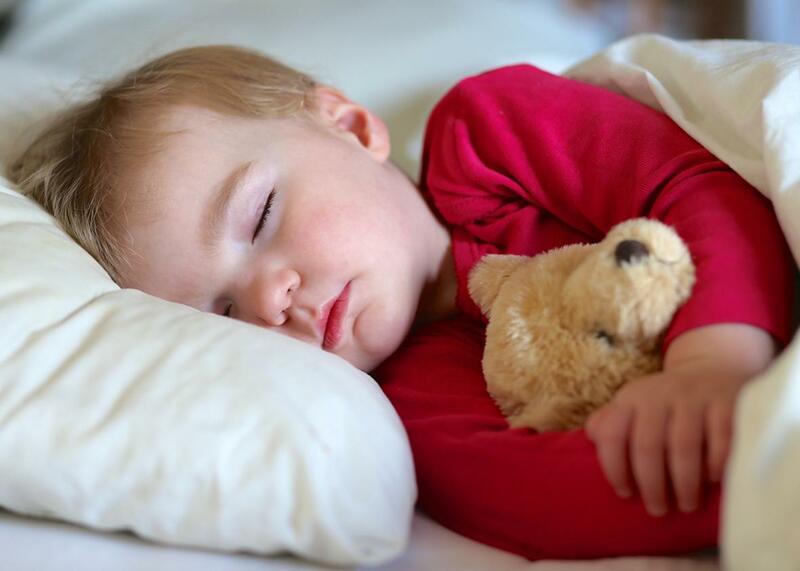 And recent research has shown that sleep patterns explain most bed-wetting problems: Deep sleepers are less likely to wake up when their bladder gets full. This happens more often if they have a small bladder or if their kidneys make too much urine at night, which might have caused the problem for Duffin’s adult patient. Modern culture is still catching up to modern medicine. “There are parents who ask me all the time if there’s something wrong with them or with their child,” says Doroshow. This worry isn’t surprising, given the baggage we’ve received from the mother-blaming psychoanalysts and Victorians like Duffin, who considered caustic lye a reasonable cure. But I’m glad to say that we’ve also inherited the optimism of the behaviorists when it comes to treating bed-wetting. “Don’t lose hope,” says Caldwell—whether you’re the parent of one of those 1 in 5 little kids, or the 1 in 200 adults who’ve been wetting the bed since childhood. Between alarms, desmopressin, and up-and-coming drugs that treat sleep arousal, there is treatment for bed-wetting. And none of it involves smearing caustic lye up your urethra.